In the most-highly anticipated bout of the year, middleweight champion Gennady "GGG" Golovkin takes on Mexican superstar Saul "Canelo" Alvarez on September 16 in Las Vegas. For a few years, this has been the fight to make at middleweight and it's finally upon us. The champion Golovkin is a murderous-punching fighter who has struggled booking big fights with the fear of his contemporaries being very real indeed. But after whitewashing Julio Cesar Chavez, Jr. in May, Canelo really had no where else to turn. The time is right, if not overdue. You can't begrudge Canelo and Golden Boy for being a little leery of taking on the feared GGG. He's the only true superstar on Golden Boy's roster of fighters and while that will continue even if he loses to Golovkin, they want to preserve their golden ticket. The timing of this seems to favor Canelo, as he and his team have been waiting for an opportune time to pounce. Golovkin has turned 35 and shown enough vulnerability in his last two fights to make him seem less unbeatable. This GGG-Canelo prediction is a little different than it would have been a year ago. This time last year, GGG was on a run of terrifying KO wins, with no opponent having so much as lasted the distance with him in nearly two dozen consecutive fights. His last two fights, a TKO corner retirement win over welterweight champ Kell Brook and a narrow decision win over Danny Jacobs in March have some people talking. I think there is a few different ways to process GGG's last two fights when fostering a Canelo-GGG pick. Some people say he's slipping. And at 35, that's a distinct possibility. After years of being shut out of the big time, he may have grown a bit stale. Another way to look at it is that he set such a high standard by steamrolling everyone that people are overstating the importance of the last two fights. Brook and Jacobs are talented fighters and having moments of difficulty with guys like that isn't really abnormal or a sign of erosion. Those are two of the toughest fighters he has fought in his career, so a little two-way action isn't necessarily anything that should elicit alarm. But I think it's fair to say that Canelo may have picked a good time to fight GGG. In Golovkin's last fight, he was pushed by Danny Jacobs, winning a close decision after Jacobs seemed to be gaining steam over the course of the fight. Again, it comes back to standards that were set by GGG's dominant run. When a fighter who is killing everyone struggles some, it's easy to overstate the case, as some did who felt Jacobs deserved the win. He didn't. It just looked so different than all of GGG's prior fights that it registered that way to some. And we can't rule out the possibility that Golovkin took his foot off the gas in parts of his last two fights to do something he hasn't been able to do—lure big names into the ring with him. On the other hand, you have Canelo, who will have turned 27 by the night of this fight. He looks to be getting more comfortable in the role of Mexican boxing superstar. His 12-round decision over Chavez, Jr. was clinical and not the slightest bit competitive. He has looked good recently, though that was against the likes of Liam Smith and Amir Khan—good fighters to be sure, but not really in Golovkin's realm either. Alvarez has developed good power and has even wielded one-punch stopping ability in recent outings. Over the years, Canelo has really developed into the complete package—a technically very sound fighter with good defense and improving power. Despite his youth, he has been prominent for a number of years and is still improving. We're not sure the same can be said for his opponent, for whatever that's worth. Timing is big in boxing and when looking throughout boxing history when big names fight each other, it often comes down to the element of timing. It's rare when two fighters have career trajectories that match each other. And if Canelo ends up beating GGG, it's likely that the timing factor will be cited as a main reason. At the same time, if GGG has started to dip, this fight will likely pump considerable wind into his sails. Golovkin has been waiting for a long time to get that really big superfight. For years, he has been avoided and it's easy to see how he could become stale when forced to engage in an endless series of bouts against the "best of the rest." And again, who's to say his recent dip wasn't somewhat deliberate in an effort to lure Canelo to the ring? It's at least a possibility. In any event, look for GGG to be invigorated as he steps onto the gigantic stage for the first time. It's overdue and he's been seasoned for this for years—maybe too seasoned. We'll see in September. Let's not forget how big this is for Canelo, as well. He's a boxing superstar without question, though it's the Mexican fan faction that is responsible for that. While one can say he's just a boxing superstar period, there are some who still question that status. You have the loss to Mayweather, the close calls with Lara and Trout, and even the fight with Cotto where if he had as much separation as the judges saw, this reporter didn't see it. Against elite fighters, there hasn't been much to separate Canelo and his foes. A win here makes his status undeniable. And believe it or not, there are still holdouts—those who know he's good, but wonder if his star-power perhaps exceeds his overall merit as a fighter. The fighters who have troubled Canelo the most are crafty fighters—guys like Mayweather, Lara, Trout, and Cotto. These are fighters who rely far less on power and more on boxing skill and versatility. Not that GGG's style is devoid of craft or slickness, but it's not really his calling card. He's a slugger. He wields his power punches from mid-range. But he is subtle, using range to control fights and his opponents. People get the wrong impression about KO punchers like GGG. They get the impression that he likes only in-close action. But that's actually more Canelo's game. Alvarez' arsenal is suited for in-close action. I think Golovkin is more-capable at a variety of ranges. You might notice that Golovkin doesn't get hit with an abundance of jabs. Canelo has a good one, but he's squat for a middleweight and with Golovkin usually out of range, Canelo will have to work to get within range. And Golovkin is masterful at exacting a steep toll on fighters who try to close that gap. We see Canelo thriving against fighters who cooperate from a range standpoint. Namely, he does his best work against fighters who languish in the pocket. Now, GGG is far from a mobile master like a Lara, but his use of range could make for some problems. Golovkin's left hook, a hurtful punch, is another concern for Canelo. And he can wield it at mid and close range. Against the niftier fighters he has faced, left hooks have been a problem for Canelo. Again, the last two fights for GGG have created a narrative that he's slipping. That could be taken in two different ways—either he is slipping or GGG backers are poised to get some good betting value with the "GGG is fading" storyline picking up steam. I'm not so sure I buy it. The fact that he is now in his mid-thirties and struggling might not be a coincidence. But at the end of the day, what do we have? We have a fight with Kell Brook where GGG took some shots, but still forced his opponent to retire in the first half of the fight with a broken orbital bone. And against a big middleweight in Jacobs in his hometown, he went the distance, lost several rounds, and scored the fight's only knockdown en route to a win. Basically, that's one guy he didn't KO since rising to prominence—hardly enough to signal a definitive downturn. At the same time, what gives me the most pause in this bout is GGG's recent form, in addition to any boxing monkey business that could unfold. Canelo is the A-side to this fight and that carries certain perks. The Mexican is the bigger money-maker and when shenanigans ensue, they tend to favor the fighter who yields more overall revenue. Still, I just feel that Canelo is a tad overrated, a superstar to be sure, but not an infallible one. I expect Golovkin to win. Loot's Pick to Win the Fight: I'm betting on Gennady Golovkin at -165. Did you know... that you could be wagering on fights at discounted odds? There's a better than good chance that you're laying inflated odds with your book. 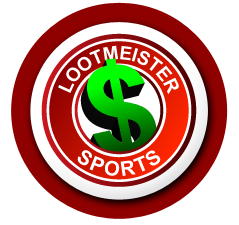 Stop overpaying TODAY and earn extra juice signing up through LOOTMEISTER.COM by making the switch to 5Dimes Sportsbook! You will be so glad that you did!